Singhvi also threatened to slap civil and criminal defamation charges against Defence Minister and BJP leader Nirmala Sitharaman if she did not apologise for “false and malicious allegations. Congress leader Abhishek Manu Singhvi on Saturday denied any links of his family with jewellery designer Nirav Modi and Gitanjali Group promoter Mehul Choksi, accused in the alleged Rs 11,400-crore Punjab National Bank fraud, and charged the BJP with playing “cheap politics”. Sitharaman alleged that the Nirav Modi-run Firestone Diamond International had taken on lease a property of Adwait Holdings, a company in which Singhvi’s wife is a director. “What is important is that the premises have been used by Firestar Diamond International,” she said. Singhvi said, in a statement, that Nirav Modi’s company was a tenant of a Kamla Mills property owned by Adwait Holdings in which his wife and sons are directors. “Neither Adwait nor my family has any interest with Modi or the company. Last August, the company gave notice to quit tenancy and vacated Kamla Mills premises in December 2017...None of us have anything to do even remotely with Gitanjali company, Firestar or any other business of Nirav Modi,” he said. “BJP/NDA’s cheap sense of politics has reached ludicrous and ridiculous proportions. Neither My wife, sons nor me have anything whatsoever to do with Gitanjali or Nirav Modi companies,” he said in the statement. Also Read | Congress or BJP, who is responsible for the PNB scam? The Congress leader said that he had come to the city to attend a wedding and was “aghast” to see news reports of Sitharaman’s allegations. He also threatened defamation case against media outlets carrying “such false and maliciously defamatory allegations”. “There should be an iota of decency in her allegation,” he said and wondered if all landlords who have rented out their properties for Nirav Modi-owned jewellery outlets would also be taken to task. “None of my family members are shareholders or have any interest in the ventures (of Nirav Modi). Should the defence minister make such allegations just because I am a Congress functionary?” he asked. “The defence minister’s statement belonged to absolute gutter-level standard. 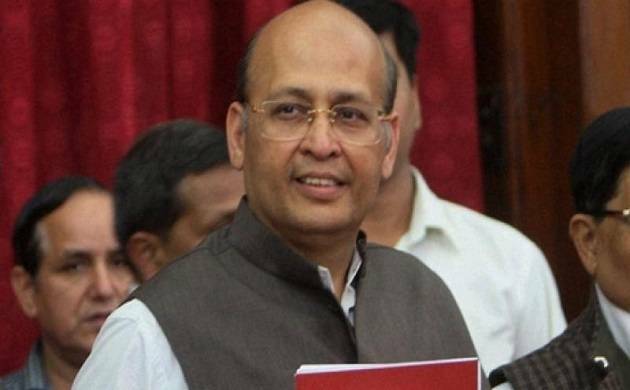 I know politics is very acrimonious, but there has to be a level in politics,” Singhvi said. “Sensationalism, ignorance and falsehood has exceeded all limits in this irresponsible charge,” he said. Nirav Modi, 46, a regular feature on the lists of rich and famous Indians since 2013, was booked by the CBI, along with wife, brother and Gitanjali Group promoter Mehul Choksi on January 31, for allegedly cheating the state-run PNB to the tune of Rs 280 crore.